New Wave TKD has been providing quality Taekwondo instruction in Nunhead for over 20 years. In that time we have produced National Champions in both Forms and Sparring Competitions. Our students have successfully competed in countries as far a field as Belgium, Germany and the USA. 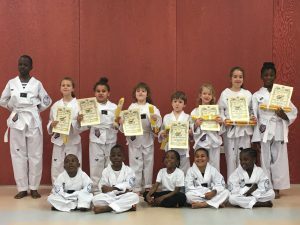 Note: Taekwondo is practiced bare footed and beginners are required to wear jogging bottoms and T-shirt/ sweatshirt whilst attending classes for the first month. Please contact us for further information! !